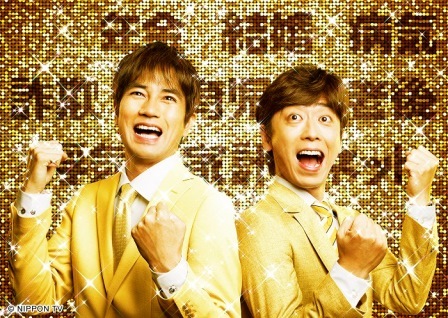 GEM Dazzles This August with Exciting Shows from Japan! Catch the most entertaining dramas and variety programs from Japan this August on GEM. A naïve university student, Kahoko (Takahata Mitsuki), is about to start her first job. The world is a scary place as she has been sheltered by her parents all her life. Their close-knit family begins to fall apart as they cope with this inevitable change in the only child’s life. Will Kahoko finally muster enough strength to emerge from her cocoon? Overprotected Kahoko premieres 28 August, every Monday and Tuesday at 9pm, first and exclusively on GEM. Dan (Sato Shori) is an average student who is not good at sports or his studies. Tragically, his father dies in an accident and his spirit possesses Dan. As his father excelled at everything he did, Dan begins to exhibit the same behavior. He starts to play basketball well and even gains popularity amongst his classmates. Will his classmates discover the reason behind his sudden change? 49 premieres 17 August, every Wednesday and Thursday at 9pm, first and exclusively on GEM. Kazumi (Oguri Shun) is a poor university student who has some unique priorities in life. He desires to make everyone happy and never rejects people when they seek his help. As he secures his first real job, he finds out that his debt could cost his job offer! A host club owner and money-lender, OmuOmu, and his cronies had conned a huge amount of money from him. Desperate to get his money back, Kazumi decides to play OmuOmu’s money game. Will Kazumi’s endless optimism help him overcome the odds? BOMB BEE MEN premieres 13 August, every Sunday at 10.30pm. In this two-episode special, our celebrity guests get to indulge in a wide array of delicious treats prepared specially by world-renowned chefs. While the guests can order as many courses as they want, they must ensure that the total price of their dishes should not exceed their given budget. The guest who has the biggest price difference will be the one to pay for everyone’s meal! Who would be the ‘lucky’ one? GOCHI: Dinner is on YOU Tonight Season 2 Special premieres 12 August and 19 August, Saturday at 7pm, first and exclusively on GEM. Follow the hosts as they show us simple tricks using everyday items to help save time and make life more interesting. Be amazed by the things you can do to spruce up your mundane daily routine. From cooking, cleaning, and organizing, to everything else in between, TOKUSON: Life Hacks! has all the answers! Life will never be the same again! TOKUSON: Life Hacks! premieres 30 August, every Wednesday at 10:10pm, first and exclusively on GEM.